A bizarre consequence of the appearance of oxygen was the advent of the world's first nuclear reactors. Nuclear power from its inception has rarely been described publicly except in hyper-bole. The impression has been given that to design and construct a nuclear reactor is a feat unique to physical science and engineering creativity. It is chastening to find that, in the Proterozoic, an unassertive community of modest bacteria built a set of nuclear reactors that ran for millions of years. 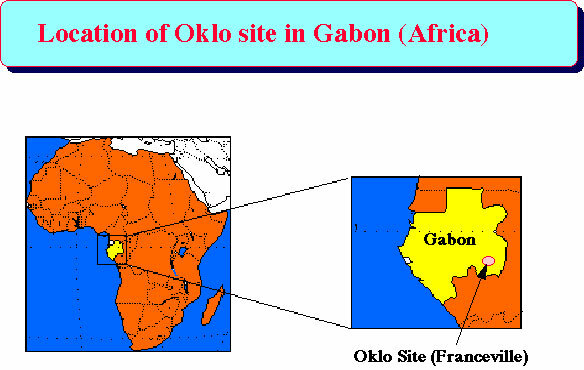 This extraordinary event occurred 1.8 eons ago at a place now called Oklo in Gabon, Africa, and was discovered quite by accident. At Oklo, there is a mine that supplies uranium mainly for the French nuclear industry. During the 1970s, a shipment of uranium from Oklo was found to be depleted in the fissionable isotope 235U. Natural uranium is always of the same isotopic composition : 99.27 percent 238U, 0.72 percent of 235U, and traces of 234U. Only the 235U isotope can take part in the chain reactions necessary for power production or for explosions. Naturally, the fissionable isotope is guarded carefully and its proportion in uranium subjected to thorough and repeated scrutiny. Imagine the shock that must have passed through the French atomic energy agency when it was discovered that the shipment of uranium had a much smaller proportion of 235U than normal. Had some clandestine group in Africa or France found a way to extract the potent fissionable isotope, and were they now storing this for use in terrorist nuclear weapons? Had someone stolen the uranium ore from the mine and substituted spent uranium from a nuclear industry elsewhere? Whatever had happened, a sinister explanation seemed likely. The truth, when it came, was not only a fascinating piece of science but must also have been an immense relief to minds troubled with images of tons of undiluted 235U in the hands of fanatics. The chemistry of the element uranium is such that it is insoluble in water under oxygen-free conditions, but readily soluble in water in the presence of oxygen. When enough oxygen appeared in the Proterozoic to render the ground water oxidizing, uranium in the rocks began to dissolve and, as the uranyl ion, became one of the many elements present in trace quantities in flowing streams. The strength of the uranium solution would have been at most no more than a few parts per million, and uranium would have been but one of many ions in solution. In the place that is now Oklo such a stream flowed into an algal mat that included microorganisms with a strange capacity to collect and concentrate uranium specifically. They performed their unconscious task so well that eventually enough uranium oxide was deposited in the pure state for a nuclear reaction to start. When more than a "critical mass" of uranium containing the fissionable isotope is gathered together in one place there is a self-sustaining chain reaction. The fission of uranium atoms sets free neutrons that cause the fission of more uranium atoms and more neutrons and so on. Provided that the number of neutrons produced balances those that escape, or are absorbed by other atoms, the reactor continues. This kind of reactor is not explosive; indeed it is self-regulating. The presence of water, through its ability to slow and reflect neutrons, is an essential feature of the reactor. When the power output increases, water boils away and the nuclear reaction slows down. A nuclear fission reaction is a perverse kind of fire; it burns better when well watered. The Oklo reactors ran gently at the kilowatt-power level for millions of years and used up a fair amount of the natural 235U in doing so. The presence of the Oklo reactors confirms an oxidizing environment. In the absence of oxygen, uranium is not water soluble. It is just as well that it is not; when life started 3.6 eons back, uranium was much more enriched in the fissile isotope 235U. This isotope decays more rapidly than the common isotope 238U, and at beginning the proportion of fissile uranium was not 0.7 percent as now but 33 percent. Uranium so enriched could have been the source of spectacular nuclear fireworks had any bacteria then been unwise enough to concentrate it. This also suggests that the atmosphere was not oxidizing in the early Archean. Bacteria could not have debated the costs and benefits of nuclear power. The fact that the reactors ran so long and that there was more than one of them suggests that replenishment must have occurred and that the radiation and nuclear waste from the reactor was not a deterrent to that ancient bacterial ecosystem. (The distribution of stable fission products around the reactor site is also valuable evidence to suggest that the problems of nuclear waste disposal now are nowhere near so difficult or dangerous as the feverish pronouncements of the antinuclear movement would suggest.) The Oklo reactors are a splendid example of geophysiological homeostasis. 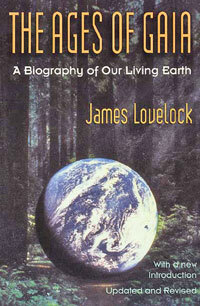 "Nuclear power is the only green solution": Lovelock article published in "The Independent"